There are two formats for each gift certificate design, they can be used however you like. The gift certificate format that only has (To: and Amount/Service:) can be used as a coupon to clients who do not actually pay (with money) to offer them a service sponsored by the facility or their insurance, etc. The second gift certificate is for use when someone actually purchases (with money) a certificate to gift to someone else to use. 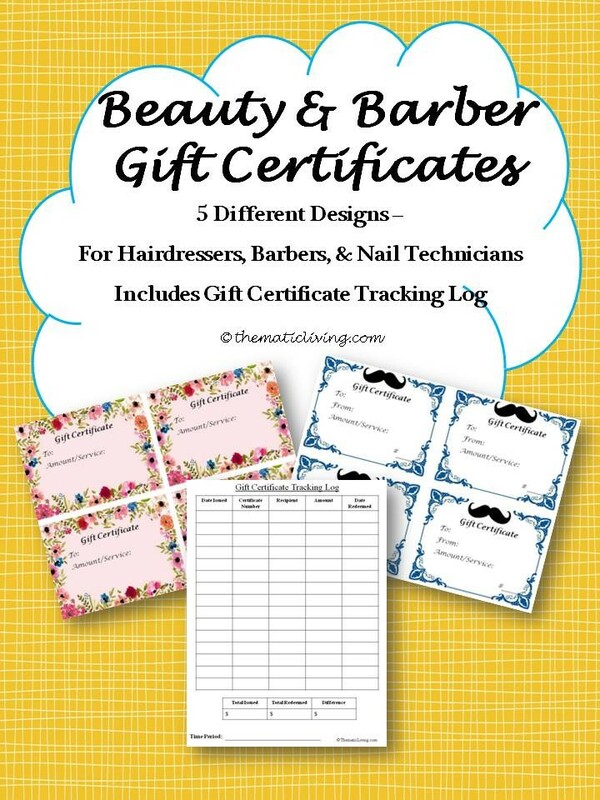 The gift certificate tracking log was created to be used with the second gift certificate format. You can choose to print a blank tracking log and write on it or you can use the edit/fill feature in Acrobat to fill in your information electronically. The form can be used as often as you would like. For example, if you would like to review it weekly, monthly, quarterly, or yearly it is up to what you prefer.